One of the biggest advantages that Android has over its universally worshipped archrival is the fact that one can customize a Droid to any extent. iOS however, though customizable via jailbreaking, is still alien to even the slightest of changes that don’t originate from its Cupertino-based HQ. The customizability and the openness of Android, though a tad bewildering at first to the cellular neophytes, have managed to give the Linux-based OS its unexpected popularity. That said, the customizations, and sometimes, the unnecessary additions to the vanilla Android OS, has made the platform not only fragmented but also a bit bloated. The manufacturers who make these changes to bring a dash of their own ‘uniqueness’ to the open-source operating system fail to give users any freedom in the UI department. Thankfully, though, there’s an ongoing trend of custom launchers for Android that completely change the look and functionality of your phone. A launcher is responsible for presenting the main view of the phone and for starting other apps and hosting live widgets. So, if you are looking for some great launchers to revamp your plain vanilla Droid, here’s a list of some of the best in that genre. Allowing you to use up to 7 homescreens, LauncherPro brings some smooth, powerful yet fast animations to your Android device. With animated previews similar to the ones found in HTC Sense UI, LauncherPro also includes a slick scrollable shortcut dock. LauncherPro is freely available for download from the Google Play Store. 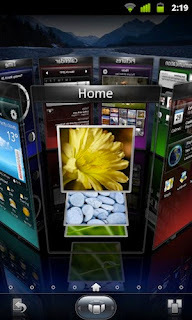 If your phone-savvy mind yearns for some serious eye-candy then SPB Shell 3D is the app you shouldn't ignore. Loaded with some stunning animations and 3D effects, the app comes with an impressive collection of 3D widgets and smart folders. Though the app offers a lot of stunning effects, its performance has been reported to be buttery smooth. 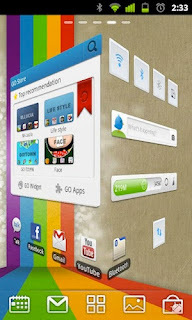 GO Launcher is one of the most popular launchers in the Android Play Store. Equipped with impressive features like screen-lock widgets, animated transitions, and the ability to group apps into folders (one of the most missed feature by pre-ICS Android users), GO Launcher EX gives your phone a complete revamp without compromising on the performance. What makes GO Launcher so popular is the fact that there are thousands of personalized themes that are available for download right from the marketplace. 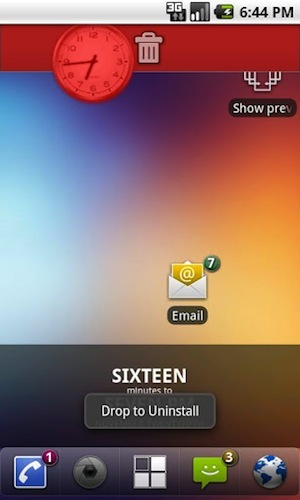 If you prefer sticking to open-source software even for your customization needs, then ADW Launcher is just the app for you. This completely free app comes with a neatly designed application drawer and a bunch of customizable drag-and-drop action buttons. Though the features in this app are nothing compared to other aforementioned launchers, it is still a great customization option for FOSS enthusiasts. 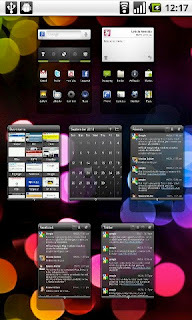 If, however, you prefer more features, ADW Launcher EX, its non-free counterpart, will never disappoint you. 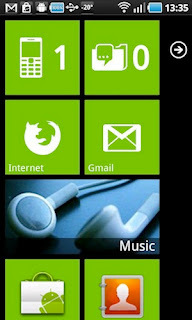 If the stylishly designed Windows Phone 7 UI leaves you with a tinge of jealousy, then Launcher 7 is a perfect app for you. The free download lets you perfectly emulate the elegant-looking Windows Phone 7 UI without saying goodbye to your good old Android. 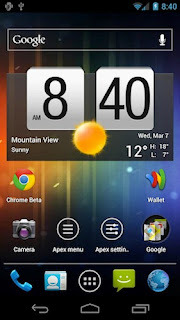 Though most of the aforementioned apps cater to the needs of Android 2.x users, there are barely any apps that are designed for ICS. 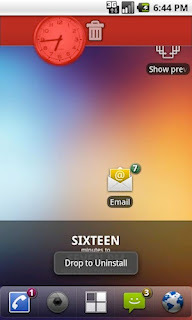 Belonging to that rare minority is Apex Launcher, a free app specially designed to customize Ice Cream Sandwich. 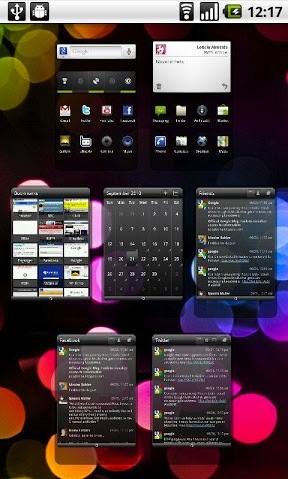 Apex offers features like customizable home screen, infinite scrolling, scrollable dock, and app hiding making ICS look even more awesome. The app is smooth, functional and yes, it has been rated 4.8 out of 5 stars in the Play Store making it one of the most highly rated apps in our list. 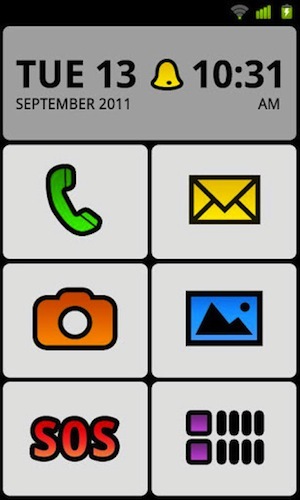 BIG Launchers addresses the needs of the elderly who can’t manage to operate phones that are bundled with small text and confusing menus. 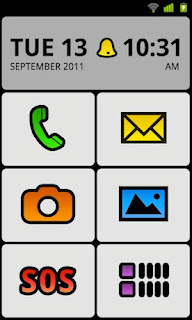 BIG Launcher simplifies the menus, and yes, it makes all text and icons big so that your grandma too can proudly flaunt a droid.